In 1945, the Charter of the United Nations became the first international agreement to affirm the principle of equality between women and men. The UN celebrated its first official International Women's Day on 8 March during International Women’s Year in 1975. Two years later, in December 1977, the General Assembly adopted a resolution proclaiming a United Nations Day for Women’s Rights and International Peace to be observed on any day of the year by Member States, in accordance with their historical and national traditions. Since those early years, International Women’s Day has assumed a new global dimension for women in developed and developing countries alike. The growing international women’s movement has helped make the commemoration a rallying point to build support for women’s rights and participation in the political, social, cultural and economic arenas. In honor to commemorate the day, the Management of the Berjaya Praslin Resort took the initiative of organizing a small gathering for all the thirty one (31) female staffs by complementing them for their dedication, hard work and their service delivering to the Resort. The General Manager, Mr. Zaharudin Bin Abdul Jalil along with three other male HOD’s delivered a speech and presented all the women with a rose. 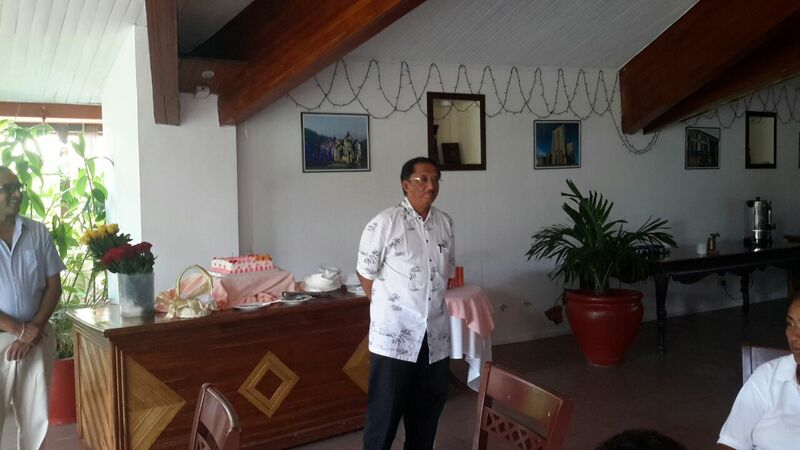 Fig 1: Mr. Zaharudin is delivering his speech to the ladies present. 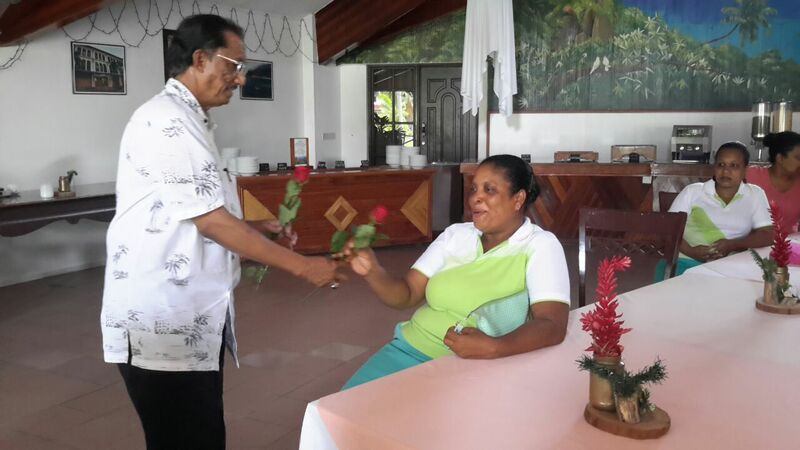 Fig 2: The General Manager is presenting Ms. Suzanne, waitress with her rose. The women were then treated to a special cake including soft drinks. 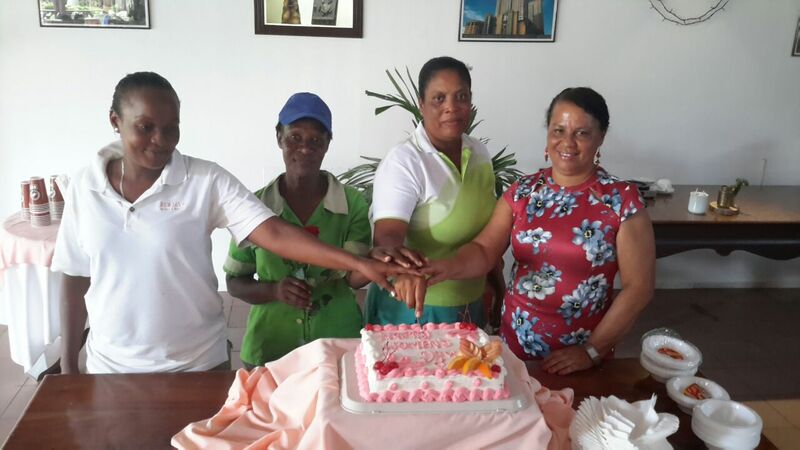 The cake was parted by four women in different departments who have been serving the Resort for more than four years. A group photo was then taken for the souvenir of the event. Never underestimate the power of women; they are the pillars of the society. Love, Honor and value them!! !